Candlelight Night -- Ski / Snowshoe / Hike as the second Saturday of February. The DNR has identified Wild River State Park as one of the top cross-country ski experiences in state parks. 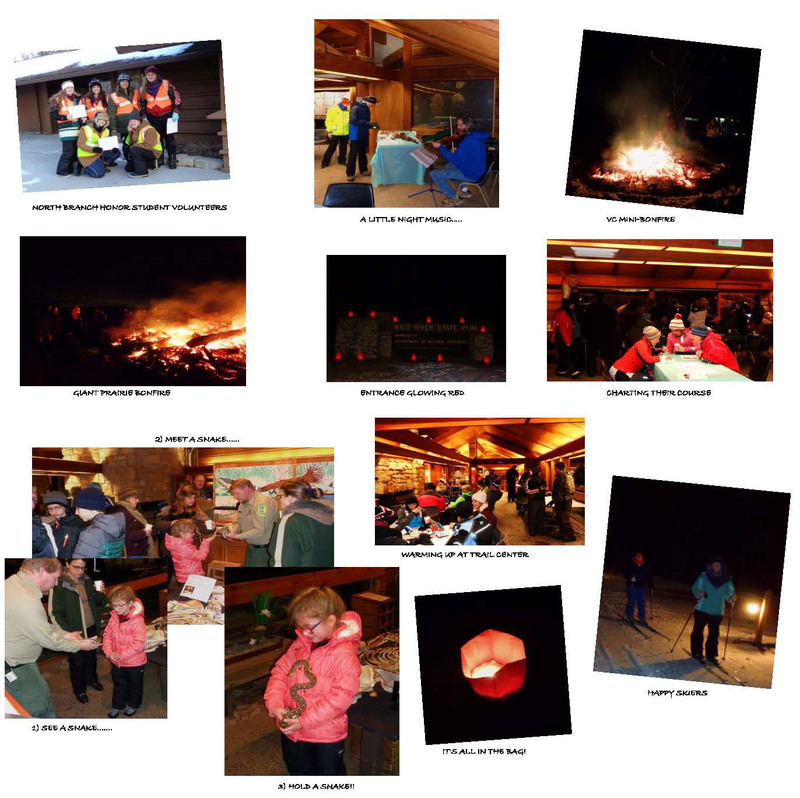 In fact, our annual Candlelight Night event has occured every year since 1997, making it the oldest continuous such event sponsored by a state park in Minnesota. The number of participants in cross-country skiing, snowshoeing or hiking has ranged from around 500 to over 1500, depending on the temperature and snow conditions. 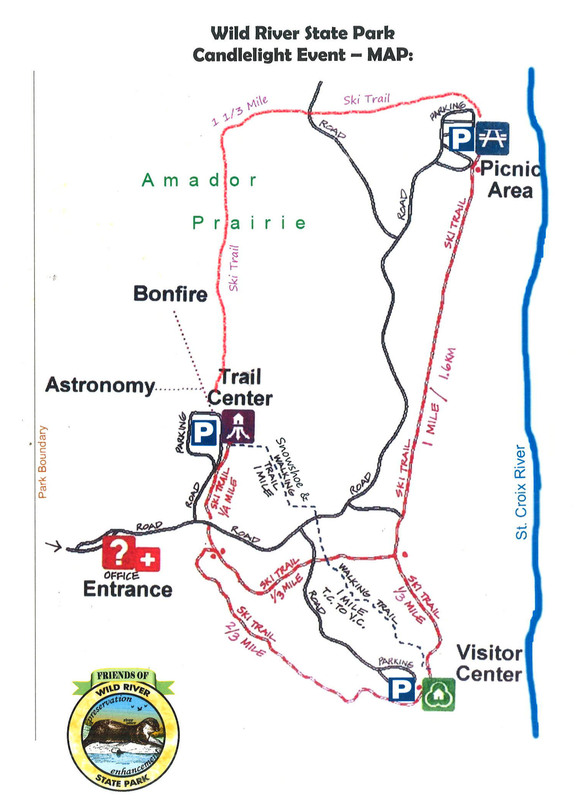 There are bonfires to warm the participants, music and refreshments at the Trail and Visitor Centers, and an astronomy program. The Park Manager, Paul Kurvers, has said this about the event: “An event of this magnitude definitely could not have been conducted without the outstanding contributions and teamwork of everyone involved. Once again the North Branch High School Honor Students performed critical tasks to ensure the smooth functioning of the event. The students working as luminary crew members, parking lot attendants, entrance greeters, and Visitor and Trail Center workers all performed their tasks at the highest level and demonstrated the high quality of their character.